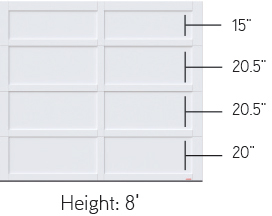 Princeton heights from 7’ to 8’, Eastman and Cambridge heights from 6’6” to 8’, in 3” increments. 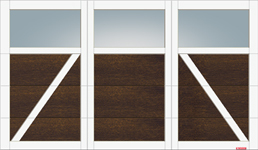 The Princeton is only manufactured with a 30" high Panoramic section. 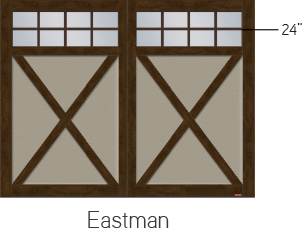 The top section of the Eastman can have a 24" high Panoramic section, regular windows, or no windows. 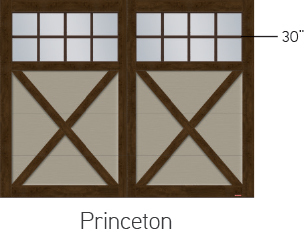 Due to the architecture of the Cambridge, section heights are not identical. 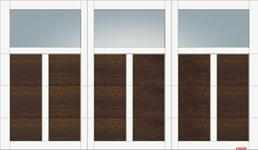 Located between sections, this joint blocks air infiltration due to its triple‑contact weatherseal. 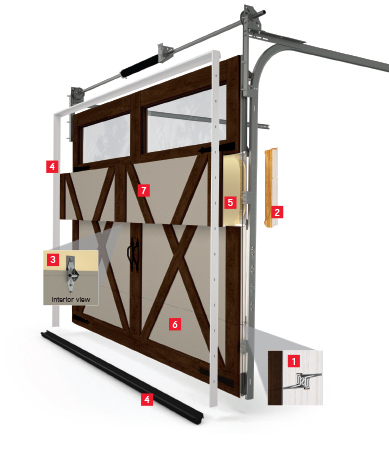 With 14‑gauge thickness, they are used to solidly attach hinges, handles and operator bracket. 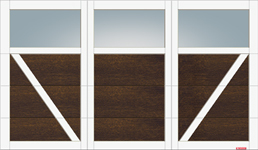 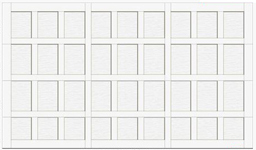 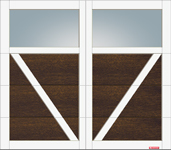 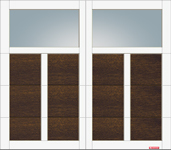 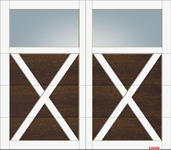 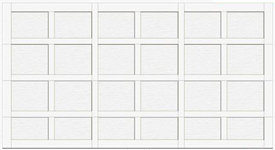 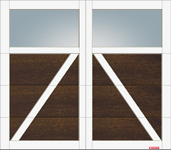 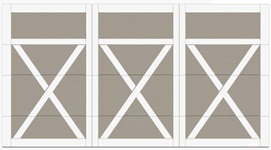 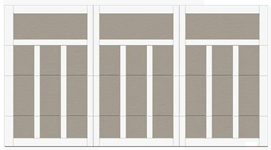 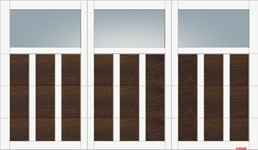 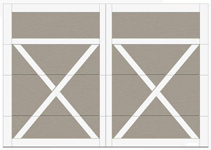 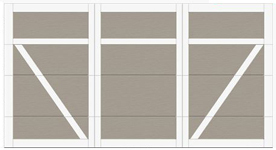 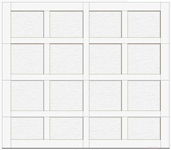 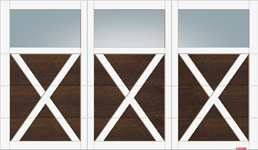 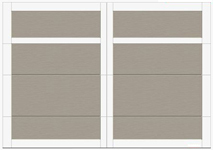 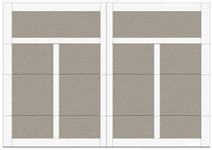 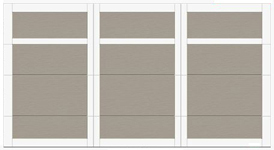 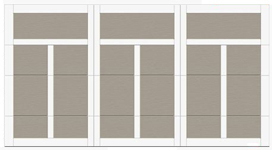 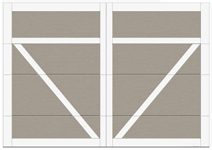 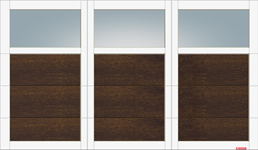 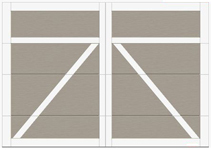 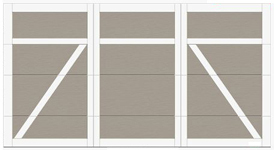 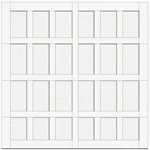 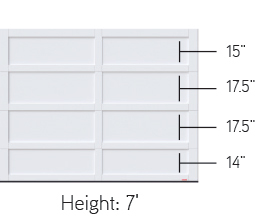 High-pressure injected foam provides R‑16 thermal resistance for 2 ⅜” doors ( 1 ¾” plus overlays). 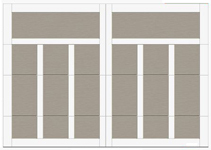 LaserCraftTM Technology is used for a precise fit between overlays and our PermafixTM Process literally fuses them to the steel sections.